I completely forgot that the embargo is over on displaying this art. 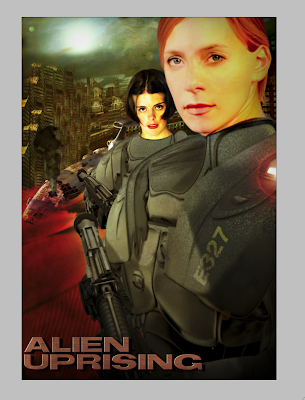 This is Halcyon's art for the "one-sheet" of Alien Uprising. Wow! That is really cool! Has a painterly look to it. Reminds me of some modern graphic novel art I've seen.